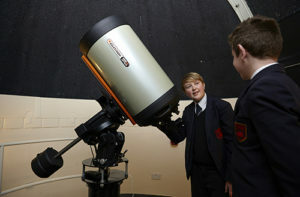 The KS3 science course is a two-year course encompassing a wide variety of topics in all three scientific disciplines. The primary aim of the course is to develop a love of learning and engage their natural curiosity about the world we live in. The course is built around the Big Ideas of Science and students will study biology, chemistry and physics modules that have been designed to enthuse, excite and challenge our students. The course provides a solid foundation for their GCSE studies covering topical issues such as the search for exoplanets and also poses some of the ethical and moral dilemmas faced by modern day scientists. Science is a practical subject and students will learn how to use a range of equipment and conduct scientific experiments. The transferable skills developed through the course will produce confident scientists able to evaluate scientific evidence and communicate their ideas in a coherent, succinct and logical manner. At the end of Year 8, students undertake a project into the school environment enabling them to develop the skills needed to work in a team. The project culminates in the production of a scientific poster showcasing their research to be presented to their peers in a scientific conference. 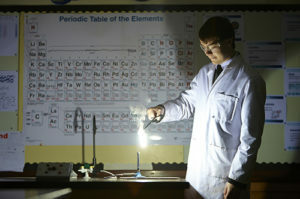 be awarded GCSE certificates in Biology, Chemistry and Physics. 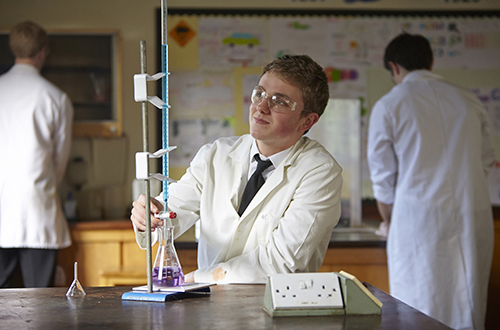 acquire scientific skills, knowledge and understanding necessary for progression to further study at A Level or IB. Please consult the AQA website for specifications, resources and guidance. Students will study topics in: Cell Biology; Organisation of Plants and Animals; Infection and Response; Bioenergetics, Homeostasis and Response; Inheritance, Variation & Evolution and Ecology. The examinations will all take place in the summer of year 11 and will cover all material studied since the beginning of the course in year 9. Students will study topics in: Atomic Structure and the Periodic Table; Bonding, Structure and the Properties of Matter; Quantitative Chemistry; Chemical Changes; Energy Changes; The Rate and Extent of Chemical Change; Organic Chemistry; Chemical Analysis; Chemistry of the Atmosphere and Using the Earth’s Resources. Students will study topic in: Energy, Electricity, the Particle Model of Matter, Atomic Structure and Radioactivity, Forces, Waves, Magnetism and Electromagnetism and Space Physics. These topics are delivered around themes to give context to the Physics they are studying. In Year 9 the Theme is Rockets & Space Exploration, in Year 10 it is the Physics of Theme Parks and in Year 11 it is the Physics of Music Festivals. The examinations will all take place in the summer of year 11 and will cover all material studied since the beginning of the course in year 9.